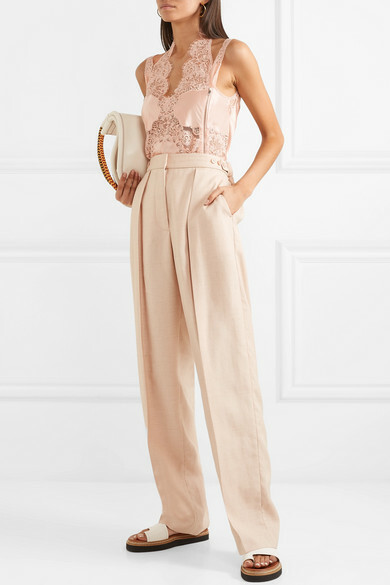 Stella McCartney' camisole was styled with tonal slouchy pants and an oversized tote on the Spring ’19 runway, which looked equal parts chic and relaxed. 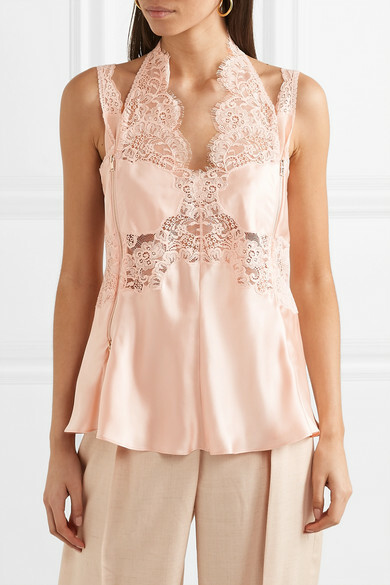 Made from silk-satin, this style is trimmed through the bodice with delicate lace. It’s cut for a slightly loose fit, but the functioning zips mean you can make the silhouette a little slimmer. 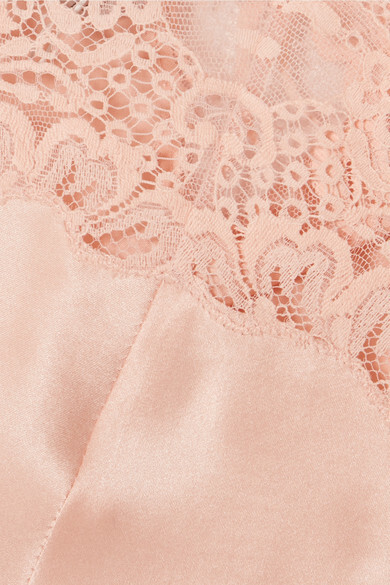 The blush shade goes particularly well with white accessories. Shown here with: Stella McCartney Pants, Proenza Schouler Tote, 3.1 Phillip Lim Sandals, Chan Luu Earrings.